Lincoln is a historic city and home to almost 94,000 residents. The county town of Lincolnshire can trace its heritage back to Roman times and has a number of famous buildings including its castle and the Cathedral Church of the Blessed Virgin Mary of Lincoln, otherwise known as Lincoln Cathedral. A pagan Roman altar was discovered during excavation works to build the tower of Lincoln’s St Swithin’s church, in the 1800s. 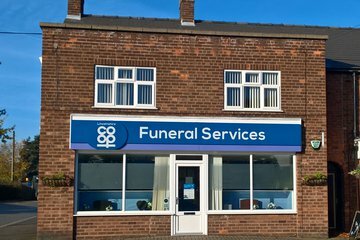 There are around 10 funeral directors, including both independent and national providers, who offer funeral services in Lincoln. As well as religious ceremonies, funeral directors in Lincoln will be able to arrange Humanist or secular funeral services for those who do not follow any particular religion. Lincoln’s major places of worship include Lincoln Cathedral, Lincoln Mosque in Orchard Street and Lincoln Synagogue in the historic heart of the city. 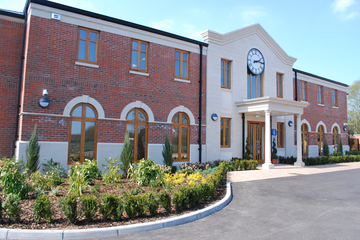 Cremation services are held at Lincoln Crematorium and there are five City Cemeteries serving the local community, with graves available to purchase for traditional burials, or for placing cremated remains. St Swithin’s and Newport cemeteries also have dedicated plots for cremated remains, but it is not permitted to scatter cremation ashes in the City Cemeteries. Search for local Lincoln funeral directors now to see funeral homes near you. You can filter search results by best rated, most reviewed or nearest to you. Click on a funeral director’s listing to see their profile page, where you can read independent customer reviews, search for recent obituaries, and learn more about the funeral services they can offer to you. Everything went very well at these sad times ,Thankyou Lincoln co-operative Funeral service. From the initial visit t o make the arrangements until the actual funeral everything was dealt with in a sympathetic and efficient manner. Every member of staff with whom I came in contact were extremely polite and understanding The funeral was handled with dignity and efficiency.and the service was conducted to a very high standard. I would like to thank all the staff at the Co-op Funeral Services, Tritton Road, Lincoln, in particular Nicola Mather, who was kind, thoughtful and respectful of our, and our mother's wishes. Everything was well organised and I would also like to take this opportunity to thank Gemma Sayer, the Celebrant who conducted the service beautifully. I found the service offered very efficient and sensitive to our requirements. I have had so many people tell me what a fantastic funeral Adam’s was and what a great send off we gave him. The Coop staff were all very professional and everything was just perfect. Just what Adam deserved.